Horsey Stuff • No Social Share • Our ProgressTotally Unprepared for Winter! I’m sure many of you will have noticed that the days are getting shorter, meaning that winter is only around the corner. 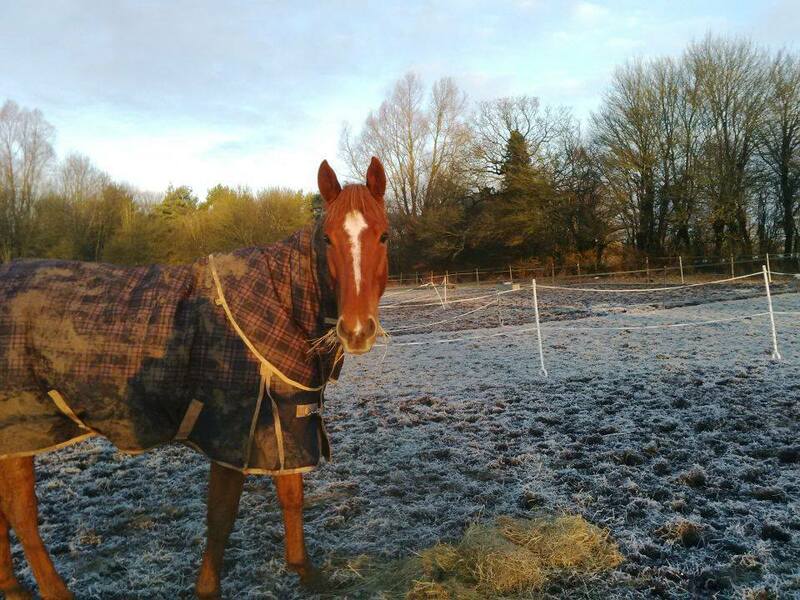 Some of you may have already started bringing the horses in and moving to winter fields but it has suddenly just hit me how unprepared I am for winter! Scottie comes in on Friday and moves to his winter field and I’ve started a mental list of all the things I need to do over the next week-month to get ready for when winter really arrives! This weekend’s job is getting all Scottie’s bedding for at least a few weeks, but ideally for the rest of the month. He probably needs another 1-2 bales to start his bed plus 1 bale per week. There’s not a huge amount of storage at the yard so I am planning of storing these extra bales at home… but I haven’t told the parents yet! While I’m bulk buying bedding I’m thinking of stocking up on balancer and grass nuts too! Save myself extra trips to the saddlery so I can take full advantage of my weekend day light! I should also think about getting my rugs washed and reproofed! Luckily Scottie only really wore 2 outdoor rugs last year. So that’s not too bad. But a couple of his stable rugs could do with a freshen up too, but I might be able to get away with doing them at home along with some saddle pads! In fact I could do with a bit of a reorganise of my rugs and could possibly do with buying a few more. Well, another rain sheet and another 100g, for spares! I also need to think about when I’m going to clip and who’s going to do it. Since I am rubbish at clipping and Eva isn’t here to do it for me… unless she fancies a visit! Scottie isn’t really for a clip yet but maybe at the end of October… We’ll see how it goes! We also need to get his back done and his saddle checked soon. He hasn’t had his back done since May, and his saddle hasn’t been looked at since end of October last year! There was talk at the yard of someone getting a back person out in October sometime, so hopefully that will happen! And I will have to ask around for a good saddler. I also want to put something up so I can store more rugs in our stable, as we only have room for one rug right now and could do with space for at least 1 more to have to hand… But if I have a good clear out of my box at the yard I could probably store a couple more in there, rather at home. Does anyone else not feel ready for winter? Or is it just me?